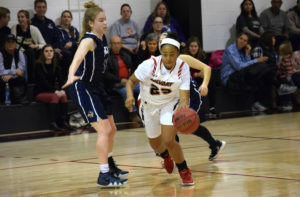 The Lady Warriors basketball team went on a 48-17 second-half run Tuesday night and never looked back as the team coasted to an 85-61 victory in Hot Springs, Arkansas over Champion Christian College. Defense was a key factor in the game as the Warriors held Champion to just 17 total points in the second half. Coach Shoemaker pointed to great team defensive communication as the key that has allowed the team to continue to improve defensively. Anna Davis and Anna Holloway each provided big sparks to the transition game with huge rebounding efforts as well. The Warriors go to 4-1 on the season and head to Lincoln, NE to battle Union College this Saturday night.